Aspirin has been used to relieve pains and aches for over 100 years now. It has been used to prevent a heart attack since the 1970s. Studies show that taking a low dose of aspirin everyday for 10 years may help lower your risk of heart disease by 10%. Taking aspirin in time of heart attack helps make it less severe. 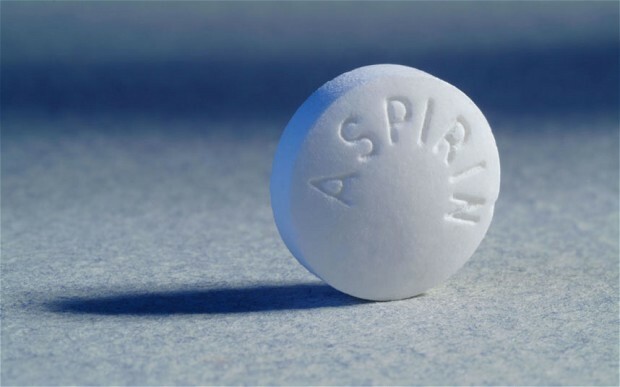 Aspirin is usually a painkiller, but aspirin for heart attack is also a great choice. Then what makes it effective in this case? How Does Aspirin Work for Heart Attack? You get a heart attack when blood clots develop in the artery and restrict the flow of oxygen-rich blood to the heart. Aspirin plays a role in reducing the clumping of platelets, which inhibits the blood's clotting action. When taken during heart attack, aspirin helps slow down the clotting process and decrease the size of the blood clot. It also helps prevent a second attack after the first one. You have had an attack in the past. You have had a stent placed in your coronary artery, you have angina, or you have had coronary bypass surgery. Your doctor says you are at a high risk of having heart attack. You have diabetes, you smoke, or you have high cholesterol or hypertension. You have a stomach ulcer. You have had a stroke in the past caused by bleeding in the brain. You have a low risk of heart attack. You have asthma that becomes worse with aspirin. You are younger than 18 and are recovering from chicken pox or other viral infections. You have liver or kidney diseases. You are more likely to develop intracranial hemorrhage. You should call 911 immediately if you suspect you are having a heart attack. Then, chew 2-4 low dose aspirin tablets or an adult-strength aspirin. Chewed aspirin works faster, which can reduce TxB2 concentrations by half in five minutes – TxB2 indicates platelet activation which drops when platelets are inhibited. How Much Aspirin Should You Take? A low dose of aspirin – no greater than 75mg – is effective in preventing heart attack. Your doctor may prescribe you a daily dose of 81mg-325mg. You will get good results by chewing a full-sized 325mg tablet when you are having a heart attack. An enteric-coated tablet will be less effective because it takes a while to work. Aspirin works effectively to prevent a clot-related stroke, but it puts you at a greater risk if you have a bleeding stroke or hemorrhagic stroke. Daily intake of aspirin puts you at a greater risk of developing a stomach ulcer. You may have to deal with life-threatening complications if there is already bleeding in your gastrointestinal tract and you continue to take aspirin. You may end up having a serious allergic reaction if you are allergic to aspirin. You may have a higher risk of bleeding during surgical procedures or dental work. Tell your surgeon that you are on aspirin therapy. Note: Anyone taking aspirin regularly should limit the intake of alcohol because it also has blood-thinning effects. Moderate drinking means no more than one drink a day for men older than 65 and women of all ages, and no more than two drinks for men younger than 65. You may have to deal with serious bleeding complications if you are combining aspirin with an anticoagulant such as apixaban, warfarin, rivaroxaban, or dabigatran. Some common medications that may interact with aspirin are corticosteroids, heparin, ibuprofen, and some antidepressants. Similarly, dietary supplements such as danshen, cat's claw, kava, omega-3 fatty acids, capsaicin, and bilberry may also interact with aspirin and increase your risk for bleeding. What Is Difference Between Heart Attack and Angina? Why Does My Chest Hurt When I Breathe? Shoulder Pain and Heart Attack: How Are They Related? What Causes Little Red Dot on the Skin?